Our families have always loved to cook! Bob's family loves to cook about as much as mine! 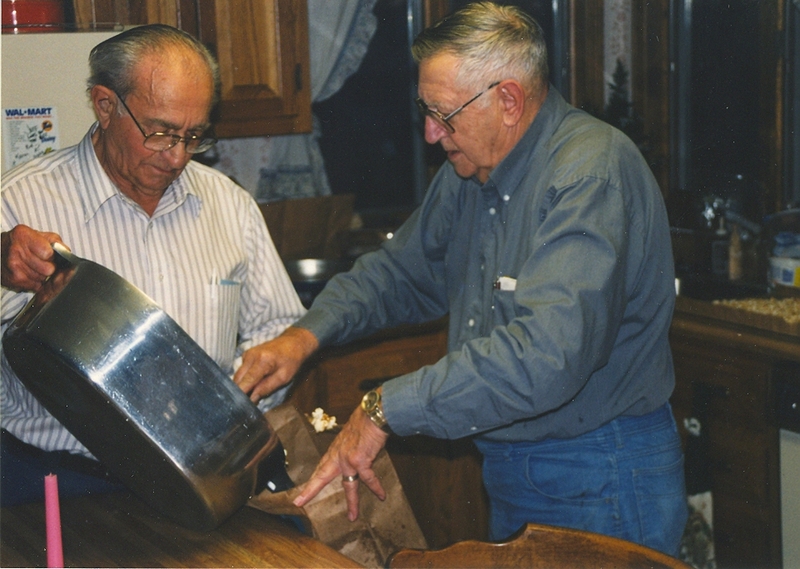 Bob's uncle, Amos J. Steffes, and Bob's dad, Giles J Steffes, loved to cook. Amos' specialties were chili, vegetable soup and chocolate chip cookies. Jake (Giles) loved to grill steak, make meatloaf and peanut brittle. Both of my grandmothers were both fabulous cooks. My Grandma Mildred Dorrell Oliver loved recipes and would be willing to try anything. Her specialties were pies, cakes and cobblers. She loved to try new recipes, especially from the Kansas City Star. Her mother, my great grandmother, Etta May Bettis Dorrell, was a wonderful cook who always had plain boiled potatoes and her tomato macaroni on every table. My aunt Patsy Oliver Peck, is also a good cook. She is famous for making complicated recipes simple and easy. 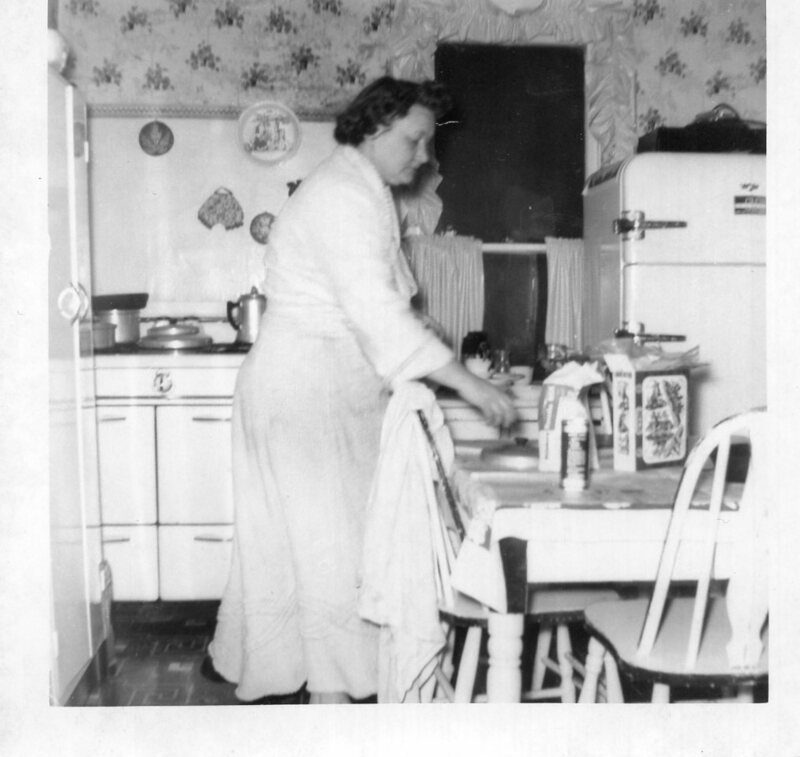 My Grandmother Lorraine Wilson Holt was an excellent jelly maker and bread maker. Mmmm. My sister, Tammi Olliver Gauthier, learned to make grandma's yeast rolls. My mom Shirley Holt Oliver makes a fabulous potato soup and fried potatoes. I guess everyone has their specialties! My mother told me recently that my great-grandfather, Guy Wilson, was a pastry chef in California. He was well known for his pastries and his shop was very popular. My great grandmother Lula Belle Wilson Malloy was also a good cook. 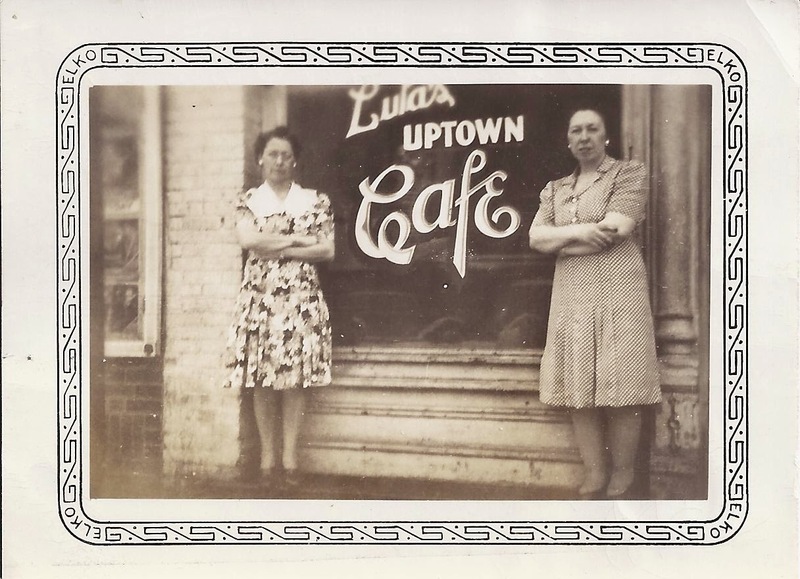 She owned a sandwich shop in Marceline during the 50s. She is pictured here on the left. More recipes can be found here: Steffes Family Recipes.